Capricorn--40 stitches square. 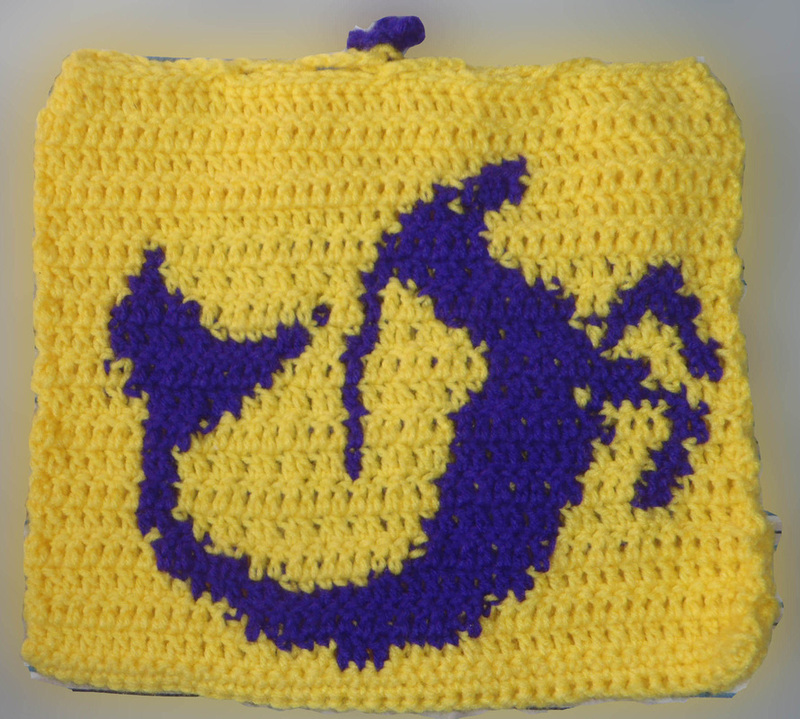 The yellow and purple piece can be used as a pillowcase or hand bag, if you add a strap to it. While making this piece, I learned how to double crochet multiple colors as if it were single crochet--which is why there are mistakes, it's the first piece! 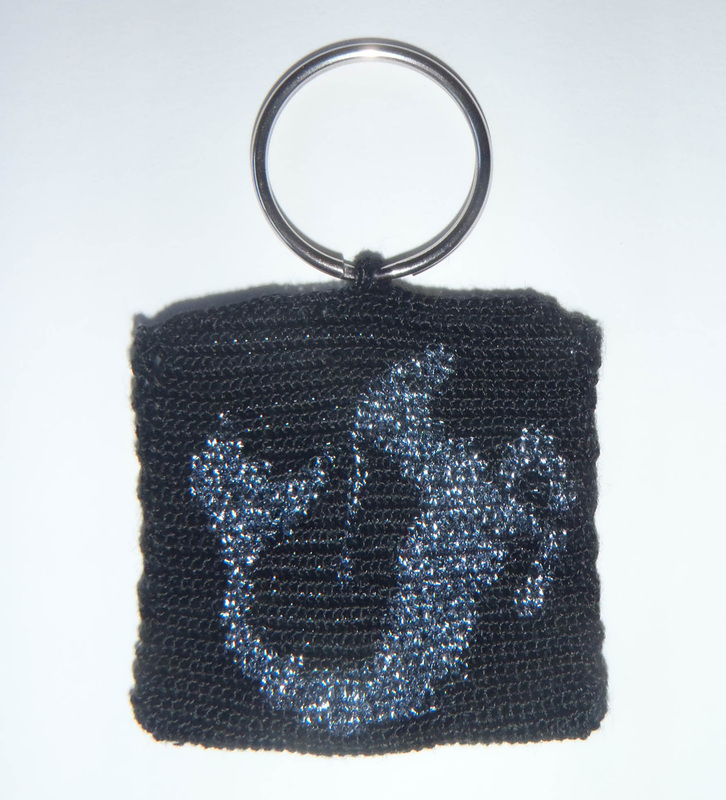 The black and silver keychain is the first finished Zodiac project, single crocheted in the front and double crocheted in the back. I believe it is also my first finished microchet project.